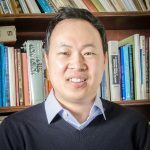 Dr. Lewis H. Lee, assistant professor of social work, has been selected to participate as a scholar in the 2018-19 Health Disparities Research Education Award Certificate Program at the University of Alabama at Birmingham. Dr. Lee will explore health disparities through a series of courses provided by the program. Courses begin Oct. 30, 2018, and run through March 1, 2019. The interdisciplinary professional development program is designed to train junior-level faculty to develop independent researchers in health disparities research through innovative approaches. 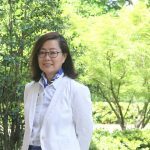 Dr. Lee will focus on developing research methodology and design to address health disparities found in populations in need, including people who come in contact with the justice system. The certificate program is sponsored by multiple agencies, including The University of Alabama, University of Alabama at Birmingham’s Comprehensive Cancer Center, Morehouse School of Medicine, National Institute on Aging, the National Institute on Minority Health and Health Disparities, and the National Cancer Institute.